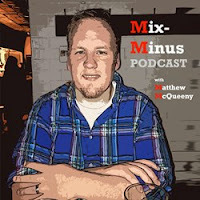 Mix-Minus Podcast | Matthew McQueeny: Is Spotify (And subscription-based streaming music) doomed? Is Spotify (And subscription-based streaming music) doomed? As Apple gets set to wade into the "streaming" waters of on-demand, subscription-based music, a spotlight (or spotify-light?) is put squarely on the industry. It may end up that we are currently living in a small epoch where for $10/month you could access basically any music you wanted, to stream or download. Spotify currently leads the way with 15 million such accounts. They have a reported 60 million users overall, with the balance being users who use the free, ad-based version. A service that boasts 60 million users and 15 million paid users should be considered a success. Unfortunately, that is not the case. Spotify recently announced additional services to their platform, from video content to podcasts. I originally felt that podcasts being added to Spotify was a great thing, a validation that the medium had made it. To have another major platform to vie alongside Apple would only help them reach more people. But, the news coming out of the announcement was that video and podcasts were added because streaming music is not paying the bills, forget making a profit. A music service with that many users, and the very reason the service exists - THE MUSIC - is not enough? Video and spoken word audio is supposed to help it find financial solvency? Podcasts, which haven't exactly found a way to make anyone rich in and of themselves, are supposed to be the answer? Spotify's finances make clear where the anxiety over free music stems from. The average revenue it earns per user in the free, ad-supported tier has been falling dramatically, from around 40 cents per month in 2012 to 26 cents per month in 2014. As a percentage of overall revenue advertising now makes up just 9 percent, down from 13 percent in 2012. Yet these subscribers make up three-quarters of the 60 million people that use Spotify every month. One thing is clear: despite its impressive growth, Spotify is still struggling to turn a profit. It represent over half the dollars flowing into streaming music, according to (Spotify CEO Daniel) Ek. But while its overall revenues have more than doubled since 2012, so have its losses. In its most recent financial disclosure, the company revealed that it lost $165 million, up 65 percent from one year earlier. That's because around 80 percent of its revenues flow out the door to rights holders, namely the major labels. Today's announcement was a play to escape the onerous economics of a pure play digital music service and become a more broad-based streaming media platform. On top of this, I am convinced that the majority of people are casual music listeners, listening to free radio or streaming services, like Pandora or Spotify's free-tier, or to the libraries they have accrued over the years. To put forth money on a regular basis, it is for cherished albums or must-have singles. We may find that $10/month (affordable as it may feel to access everything) is simply too rich for most people's blood, especially when you stretch it out to $120/year. In other words, the potential to get millions and millions more paid subscribers might not be there. And what about the legion of people - like myself with Google Music All Access - who have been paying? Can you imagine if the economics ultimately do in the viability of all-you-can-eat, subscription-based streaming music? What if you were a Spotify, Rdio, Apple, Google Music All Access, or whatever subscriber for several years? All the sudden maybe you paid out $400-$500 to "rent" music for many years. If the services go away today, you ultimately have nothing. Even if you used half of that estimate to purchase albums and singles, you would at least have a piece (albeit digital) to move forward with and listen to.